Wedding officiant and life journey coach Robin Miller is very classy and classic, but also has a fun spark and a wonderfully bubbly personality. 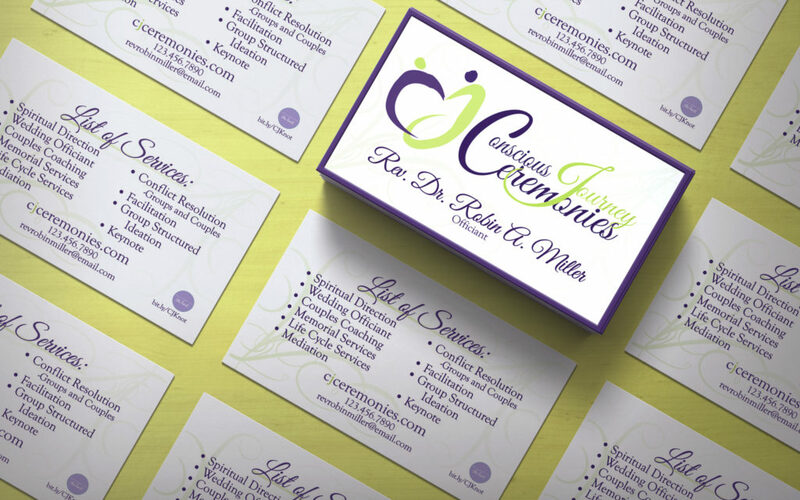 I wanted to encompass all of that in her logo, while still focusing on what services she offers. Robin has such fantastic empathy for people, and she truly believes in following their life journey. Logo design for a classy and fun wedding officiant and life journey coach.